Victorian Wolf Pentacle Pendant Necklace - A detailed Victorian Pentacle Pendant adorned with a Dimensional Wolf Bust on a Sterling Silver Necklace Chain. Cast in solid .925 Sterling Silver by us here at Silver Enchantments. 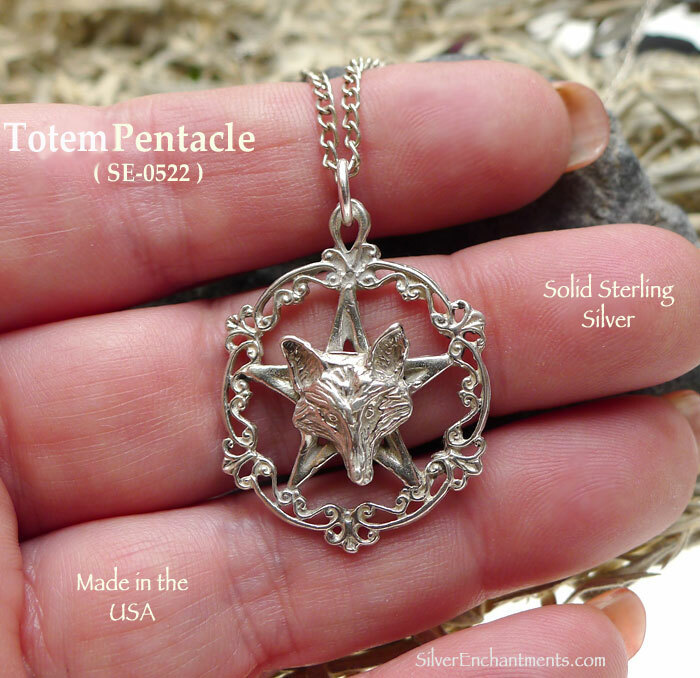 This popular pentacle measures approximately 32mm tall x 25mm in diameter. 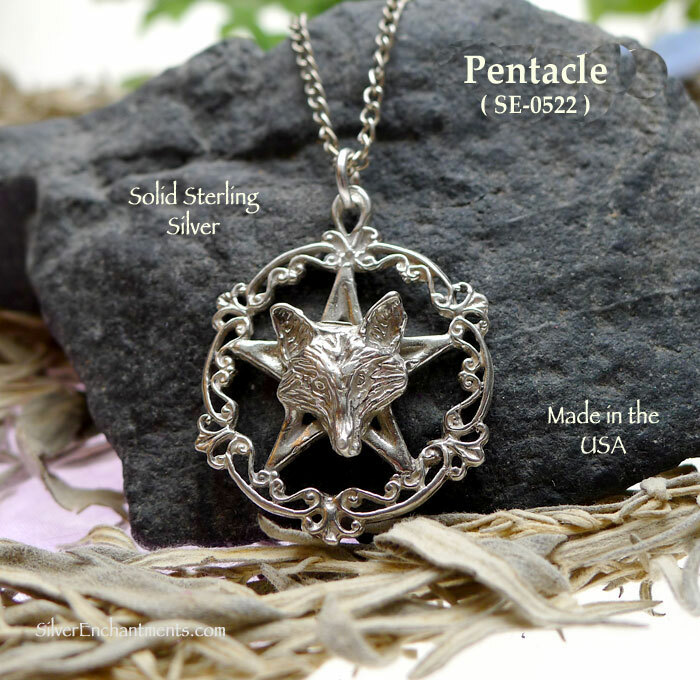 > You can Customize this Wolf Pentacle Necklace -- Choose from a 16" or 18" Solid Sterling Silver Necklace Chain (please see last picture for current chain style). 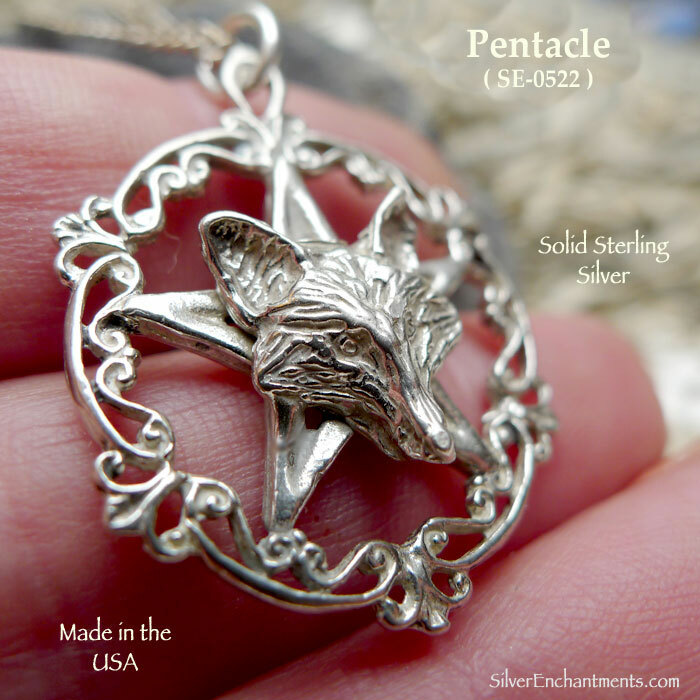 Your solid sterling silver wolf pentagram necklace will come Boxed. 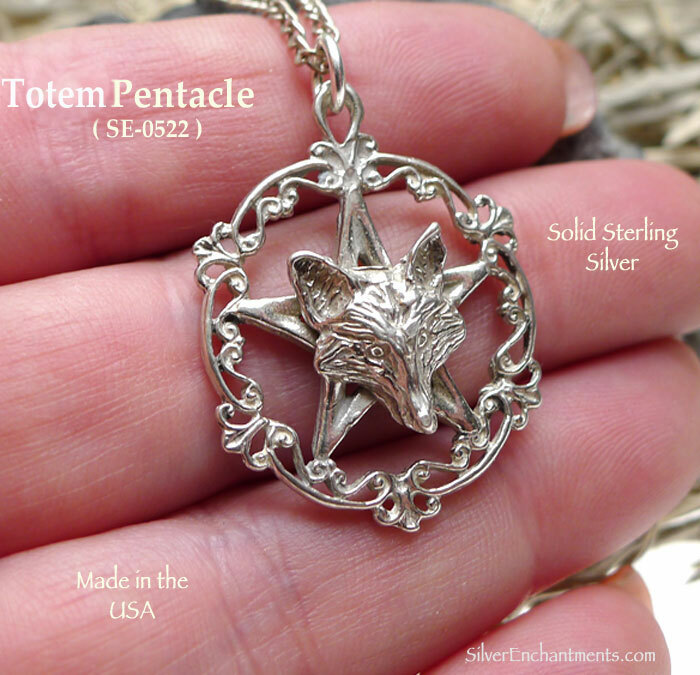 This Wolf Pentacle Pendant is made from Solid 92.5 Sterling Silver. Real Sterling NEVER contains nickel or lead. Our charms, pendants, earrings and findings listed as Sterling Silver are NOT silver plated or silver filled; they are NOT silver plated, or 'silver colored', 'antique silver' or sterling silver plated -- that is just plain confusing! Please be careful out there! -- If you would like to see how Lost Wax Casting is done, please feel free to visit our website, Facebook page, or YouTube Channel. All Products © SILVER ENCHANTMENTS™ is a Division of Silver Enchantments LLC.™ - ©SacredWares - 1991-PRESENT-- No part of our content, designs, images, product trade name(s), trade product design(s) and product(s) can be used without prior express written permission. This item is meant for personal use. Resale and/or Reproduction Rights are not granted with any purchase. All Rights Reserved. By purchasing any item in our shop, buyer acknowledges they have read, understand and agree to all shop policies.